For easy navigation, I have separated the different cuisines into separate pages, so you can jump straight to the type of food that you are seeking for. If you are lost, try to use the Search Function beside the blog title. E-mail me at ipohmotormouth@gmail.com if you want to recommend a place. 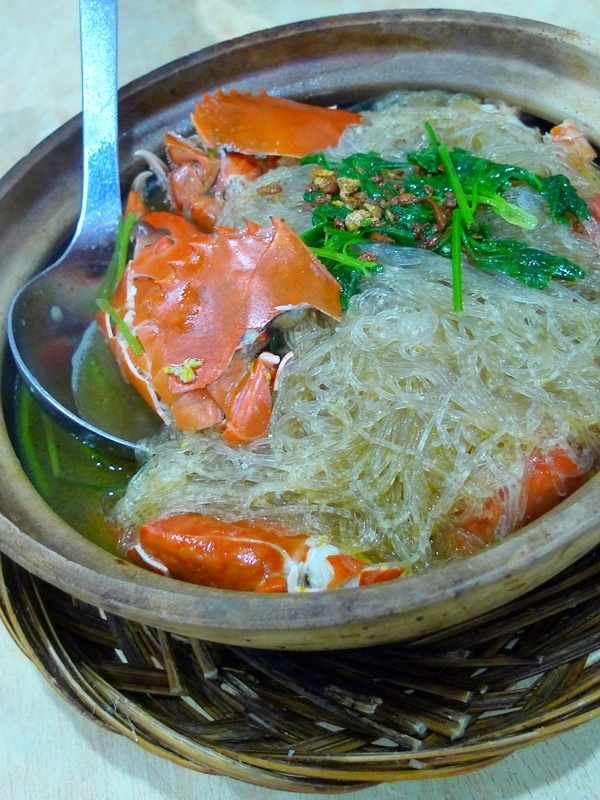 Still remember my last post on claypot crab ‘tanghoon’ (glass vermicelli noodles) at Rasa Lain Restaurant (Chinese name : “Mei But Tung”) in Bercham? That same restaurant has garnered enough attention of its own, with appearance in the tube courtesy of the food show named Taste With Jason (you can read about it from Axian’s blog HERE). Fueled by sufficient promotion, a myriad of reviews on the net, plus Rasa Lain’s already famous reputation amongst the Ipohans, it is no wonder the place is packed on most evenings, especially weekends and public holidays. 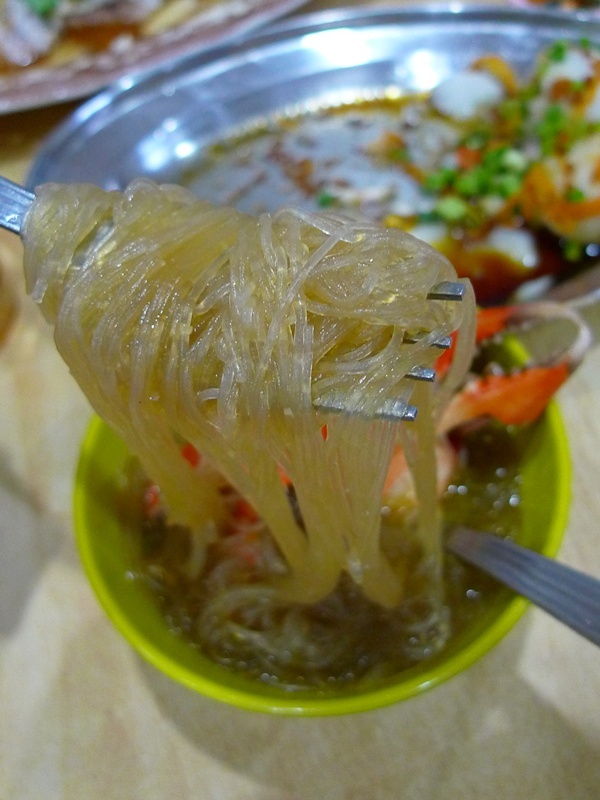 There was once when we could not even get a seat at Rasa Lain, and had to take a detour to Hoy Tin Lau for dinner. But that was a week or so after the restaurant was featured on Axian’s show on Astro AEC channel. So, as the Chinese saying goes; “New Toilet” (San Si Hang) may ring true after all. But just like the war between the Tauge Ayam (Nga Choy Kai) outlets, and the lesser-known battle between curry mee proprietors, Rasa Lain is NOT the only restaurant in Ipoh, or Bercham for that matter, serving the famed Claypot Crab Tanghoon. 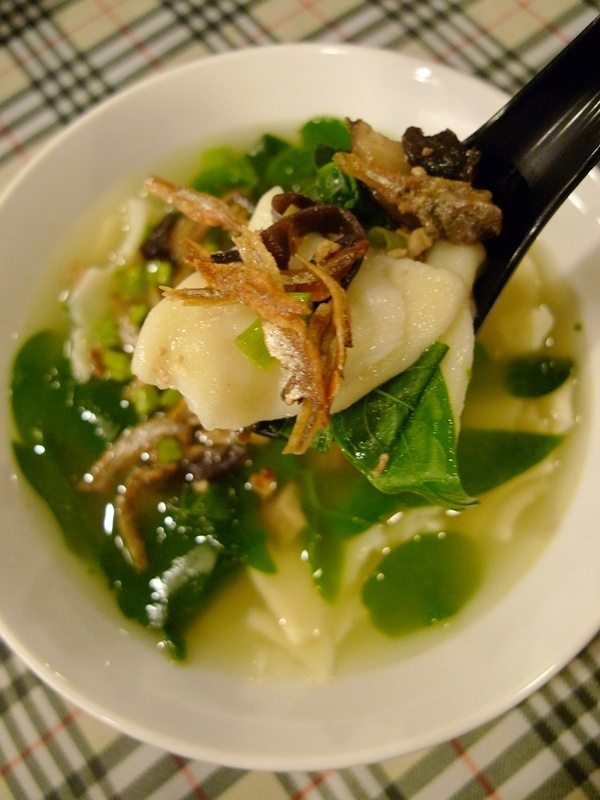 Another equally popular restaurant, named Same Taste (or ‘Ya But Tung‘ …. correction : it should be Mei Ya Tung (thanks CPK!)) garnered enough following on its own, and recently has even moved to the main road of Bercham, promising ease of access, especially those exiting from the North-South Expressway ….. 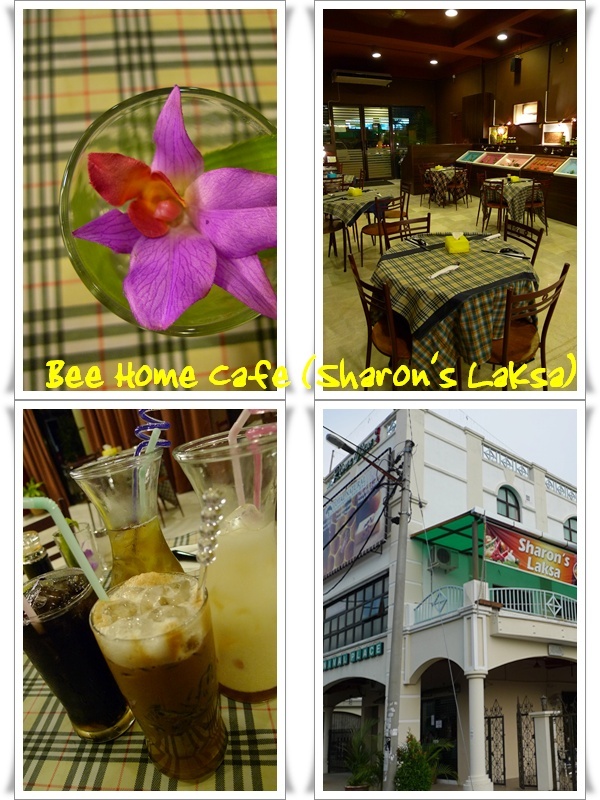 Since the ‘demise’ of Nakhon Pathom Thai food stall in Bercham, one of my personal favourite, we had to resort to other restaurant options, such as Koh Samui, Yum Yum, Assam House, and so forth. 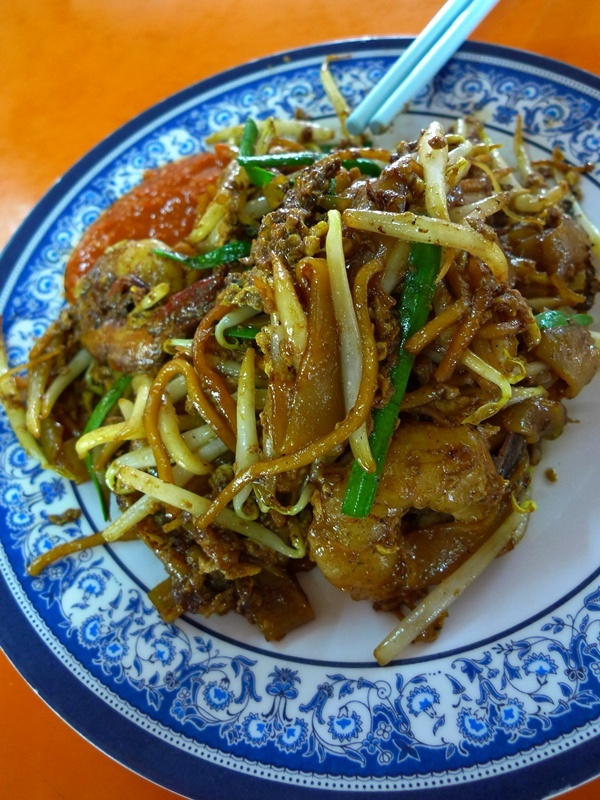 Of course there are the other stalls, food courts, and restaurants all around Ipoh that I may not be aware of, but to find an authentic eatery serving traditional, ‘unadulterated‘ Thai dishes can be likened to seeking a needle in a haystack, so to speak. The Platter of Starters – Enough to fill up at least 30% of one’s stomach space! Mun Choong Restaurant (also known as Pusing Public Restaurant, as with its sister outlet in town) has been gracing the Chinese dining scene in Ipoh for a respectable number of years (since 1978!). 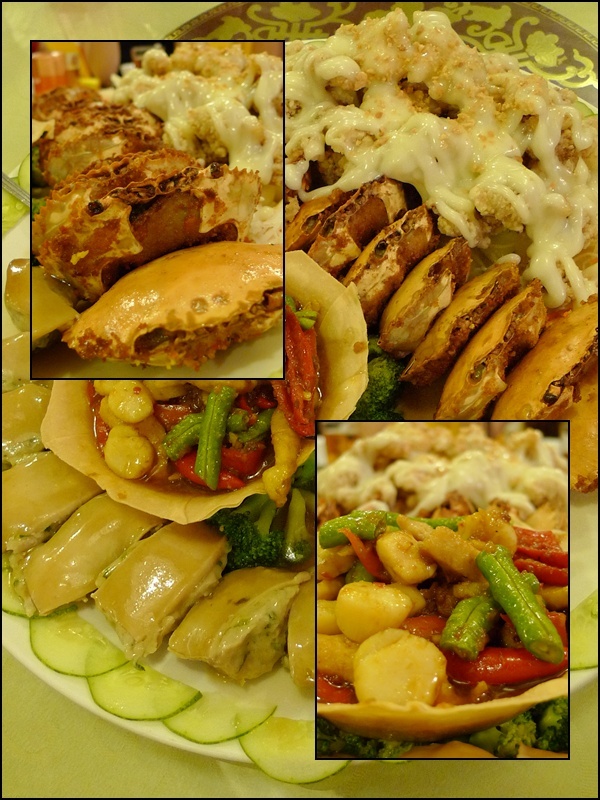 A name synonymous with Chinese wedding dinners, and major occasions,Mun Choong proves to be a safe choice for organizing get-togethers, thanksgiving (hehe, in any manners imaginable), full moon (not the party, but for the month’s old baby) etc. 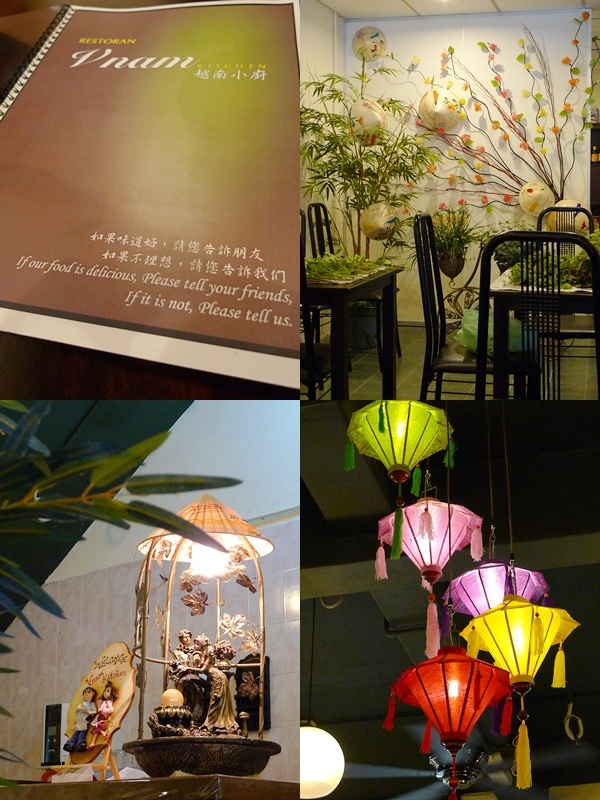 Very down to earth motto printed on the menu, and the vibrant decor inside of Vnam Kitchen. 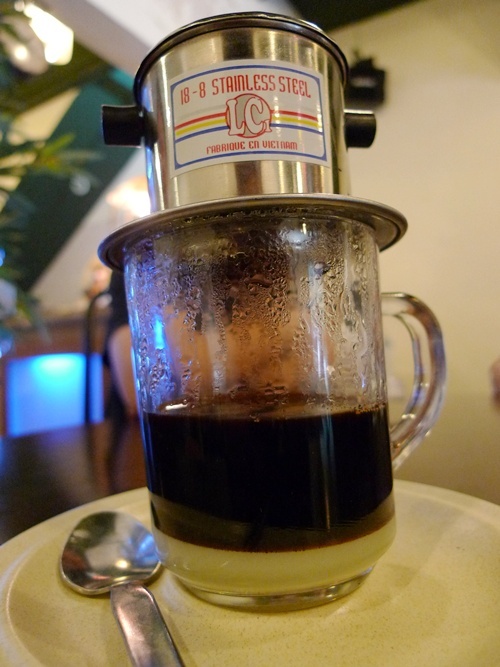 A new restaurant serving Vietnamese cuisine opened its door to the public recently in Ipoh, at the same spot occupied by the previous Soon Fatt Restaurant on Jalan Seenivasagam around Greentown. Click on the link for the post on the NEW Soon Fatt Restaurant. 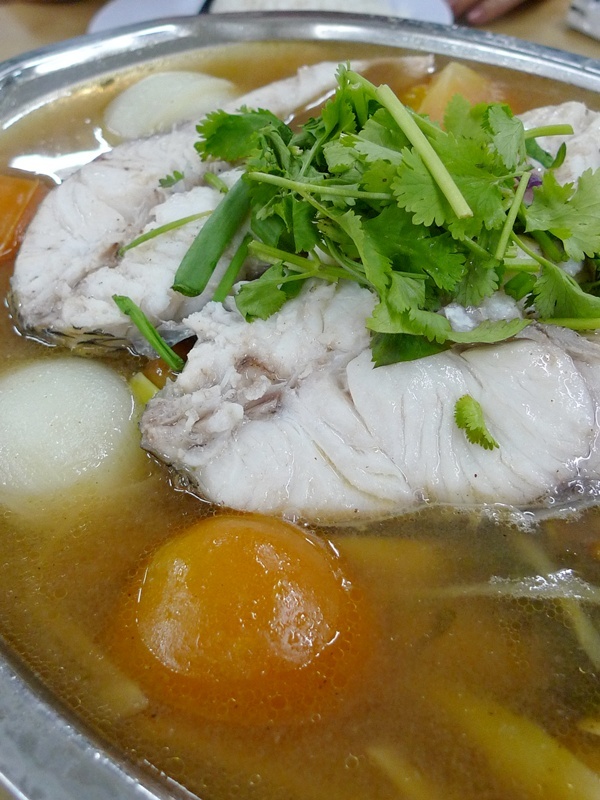 Vnam Kitchen is in fact, owned and run by a couple who had been operating various stalls and outlets serving delectable and authentic Vietnamese cuisine in the Klang Valley, located in several food courts by the name of Vietnamese Cuisine. Since then, they’ve ‘surrendered’ their premises in the Klang Valley to their sons, and subsequently moved to Ipoh and opened up a stall by the name of (what else?) Vietnamese Cuisine in Woolley Food City in Ipoh Garden.